During a LIQUID FACE LIFT, the treatment gel is injected further below the surface of the skin than those traditionally performed for wrinkle and fold management. 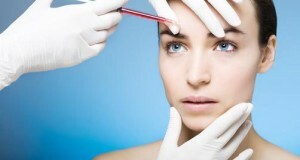 The deeper injections result in a longer duration of effect in the areas deficient in volume. During a session where a patient receives injections of a filler, they will experience minimal discomfort or none at all. This procedure is non-surgical with minimal downtime. The results can last anywhere from 1 to 2 years depending on the products used. Who is a Candidate for a Liquid Lift? Injectable fillers are an excellent option for patients who do not wish to undergo an invasive cosmetic surgery but seek the effects these treatments can produce. Patients interested in the LiquidLift procedure have the option to receive Restylane, Juvederm, Radiesse, or Sculptra injections. The number of treatments that best restore volume to the face varies, depending on the injectable gel utilized. Often, combinations of the fillers are used to create optimal results. There are many factors that contribute to skin aging, one of which is a loss of hyaluronic acid. As a result your skin can develop wrinkles and folds. Restylane can be used to help restore volume and fullness to the skin to correct moderate to severe facial wrinkles and folds such as the lines from the nose to the corner of the mouth. A clear gel formulation of hyaluronic acid, Restylane works immediately by replacing lost volume to instantly smooth away facial wrinkles. Ask your physician which one is right for you. Perlane restores volume and fullness to the skin to correct moderate to severe facial wrinkles and folds. What makes Perlane different is the average size of the particles and the depth of the injection. On average, the gel particles in Perlane are are larger than those in Restylane. Perlane is a good choice for wrinkles that benefit form a deeper injection into the skin. During your consultation, Dr. Michael Sheety will decide what is right for you. Radiesse® dermal filler is made from a biocompatible substance that is identical to what is naturally found in the body. As a result, there is virtually no risk of allergic reaction. Radiesse is injected into the skin through a simple and minimally invasive procedure. Radiesse can restore a healthy, youthful appearance. Radiesse’s patented microsphere technology starts a process called collagenesis, which stimulates the body to produce new collagen and encourages collagen growth. Radiesse dermal filler has been clinically tested extensively for years and has FDA clearance and approval. Radiesse treatment can be performed within the lunch hour and results last up to one year.